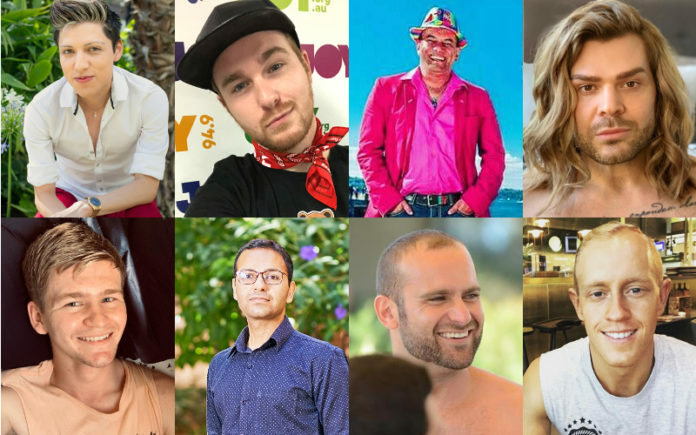 The hunt for Australia’s next Mr Gay Pride Australia is one step closer today after the announcement of eight finalists selected to compete in the competition which will culminate at Daylesford’s ChillOut Festival Carnival on March 10. Finalists will compete in two online challenges where they will write an opinion piece to be published and then be subjected to a public vote. When the finalists come together in Melbourne and Daylesford in March, the challenges will include a photo shoot, written test, a personal interview and public speaking at ChillOut’s Carnival. All challenges will be scored by a judging panel and the winner will get the chance to attend Mr Gay World 2019 as Australia’s representative in Capet Town South Africa from 28 April to 4 May 2019. 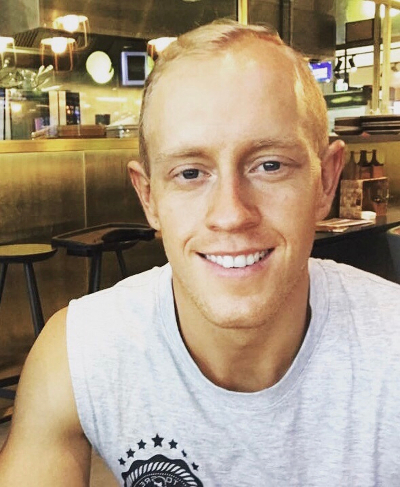 Last year’s Mr Gay Pride Australia Jordan Bruno went on to win Mr Gay World 2018. Here are the 8 finalists for 2019. As a singer-songwriter, I’m pursuing my passion in a very competitive industry. As a model, I’m embracing my unique look and boosting self-esteem. As a gay kid growing up in Western Sydney, I experienced all kinds of homophobia and abuse from parents to peers. Thing is, no matter how dark my world became, I didn’t allow my unfortunate hand in life to dictate or irreversibly damage my future. So as Mr Gay Pride Australia… I’d utilise the platform to inspire others, struggling or not, to be strong. To educate themselves in a manner that is free from political bias. To be the best version of themselves possible. 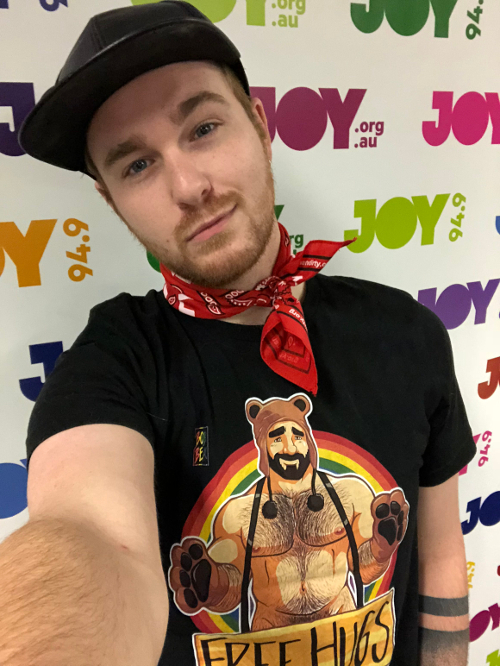 I want to be Mr Gay Pride Australia because I believe I exemplify the characteristics and values required by an ambassador of not only the Gay community, but of Australia. I have pride not only of the community’s to which I belong, but also of myself. 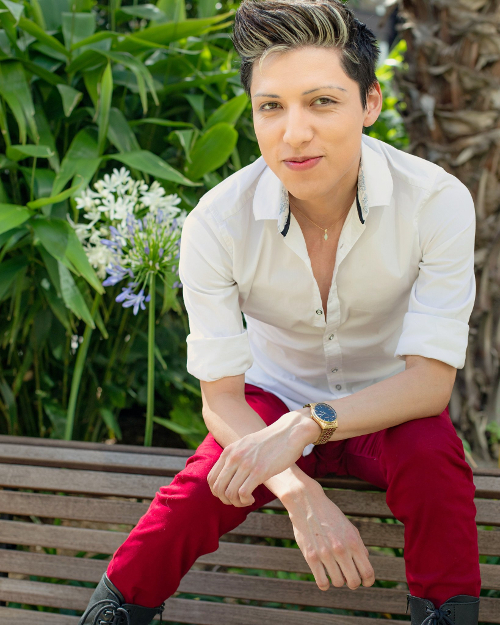 My life has been one of ongoing adversity that has pushed me to become a passionate, well rounded and mature advocate for not only the LGBTQ community, but the realm of sexual and mental health, and the unique challenges faced by contemporary youth. Having worked with a bold dedication across a broad range of community organisations (As a host of Joy94.9’s ‘Hide and Seek’, previous committee member of VicLeather, the face of The Institute Of Many’s ‘U=U’ campaign, and regularly representing The Pinnacle Foundation at Governmental and Private functions) I have carved out a place for myself to use my platforms to both challenge internal and external issues facing the gay community, and be the figure I wish I could’ve looked up to as a teenager. I believe this involvement has equipped me to use empathy and ingenuity to meet any challenges that come with the privilege of being Mr Gay Pride Australia. I believe my strengths lie within my years of debate and public speaking training and successful competition, and my ability to connect and hold an engaging conversation with people of any background or history yet still knowing when to sit back and listen. 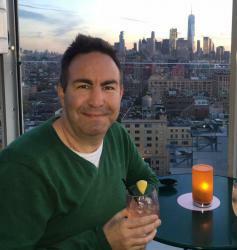 I went through years on Conversion Therapy, I know how long it took me to accept myself and come out at 38 years old because of it. I created a Facebook Page called Wear a Rainbow Ribbon every day (WearRainbow) so I could reach out to people who have suicidal thoughts and are finding it hard to accept themselves for who they are. I’m an HIV Undetectable person that is passionate about Ending HIV stigma, I recently was invited to speak at the World AIDS Day candlelight vigil in Brisbane. Every day I dress up in my rainbow hat, belt, earring, ring, and shoes with rainbow laces hoping that someone has seen me that needs to know that they’re not the only gay in the village. For many years I thought I was the only Sri Lankan that was gay who was HIV+ and from a Pentecostal church background. I’m glad I found some others and have since found out that people only see us during Mardi Gras and because the media shows the half-naked leather community that the average person is unable to relate to, which is why I do what I do every day…. You never know when it may save a life from suicide. As a young gay kid growing up in a small town in Tasmania, the media never gave me a role model I could really identify with. Sure, there were some gay representatives, but their presence was always left with the bitter tang of a joke (on them), a character only called in as the sidekick or to fill a particular stereotype. It’s time for a new generation of LGBTQIA+ role models, standing proud on TV, speaking with a steady voice on radio or presenting a genuine persona online and on social media. A person who can beat a good face, yet chop half a tonne of wood. Play sport, yet run in heels. I want to be that role model. Society tells us we have to work on the outside by shoving chicken and broccoli down our throats while spinning, cross training and deadlifting… but what they don’t tell us is how much work we need to put into the inside as well. I have become a leader. I regularly speak with groundbreaking LGBTQIA+ role models from the latest TV shows, movie stars, musicians and more… and then quietly answer DMs from young and old about discovering themselves and the challenges around living an authentic life. Regardless of how I far I go in the Mr Gay Pride nomination process, my goal in life is to stand as a proud man in the media, who just happens to like boys. I want all people, LGBTQIA+ and more, to look at me and realise that there is hope for them to shoot for the stars, to achieve their wildest dreams and what makes them different, makes them amazing. 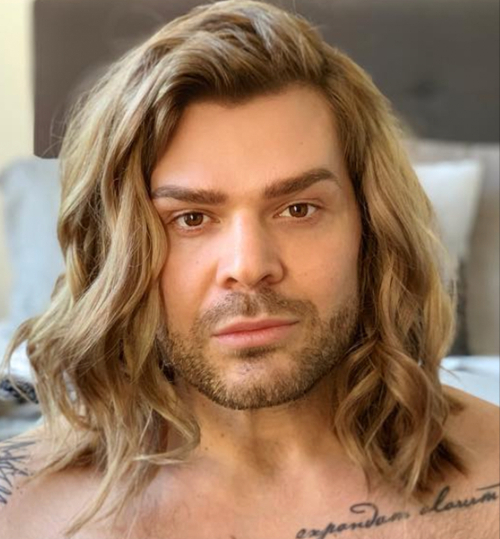 I’m an openly young gay man but what I think is much more important than my name and identity is my story, one that I’ve passionately shared in the past. 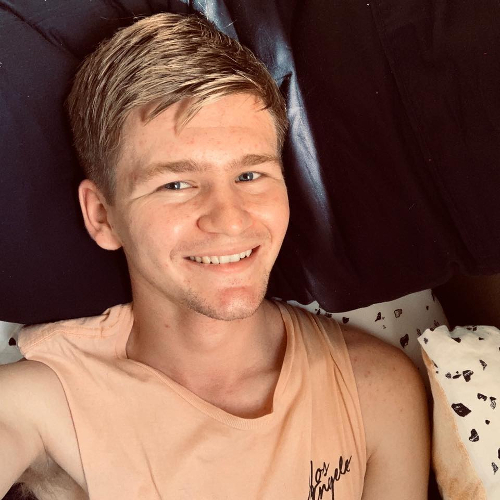 I grew up a small regional and remote town in rural NSW known as Hay, when I was young and first struggling with my sexuality, I experienced many negative emotions daily. I felt alone and as though there was no chance that I could happily be who I really was while still growing up in regional Australia. I decided to openly come out at 15 in my small town as I was sick of shaming myself for who I simply was and hoped someone else maybe someone younger would be inspired and know that they are not alone, that no matter what they have support. In late 2017 when the rainbow on plains festival first started, I was so excited and over-joyed, what was originally a fund-raiser for ACON and a celebration of the Sydney Mardi Gras 40th anniversary. Turned into Hay’s and its surrounding region’s first LGBT festival. I quickly joined the founding committee once I heard of the fund-raiser and assisted on the first festival weekend during 2018 which a massive success! I’m so excited for a world where all LGBT+ people can feel safe and loved for who they are. I’m also very passionate about mental health issues, representational visibility of all minorities, humanitarian equality and social equity, especially regarding regional communities. 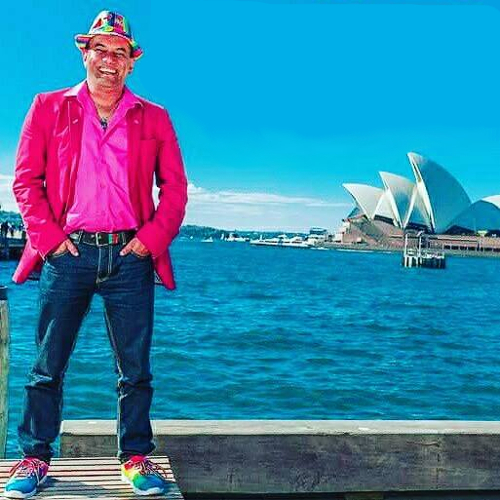 I want to be Mr Gay Pride Australia to set a clear and definitive precedent that the LGBTIQ+ community in Australia is inclusive and every member, from L to the Q (and beyond), is equal and worthy. From my perspective, Mr Gay Pride Australia is a rare public platform for people within the LGBTIQ+ community to show the world that we are no longer defined by superficial, hegemonic and archaic norms of what is considered beautiful, attractive and acceptable. 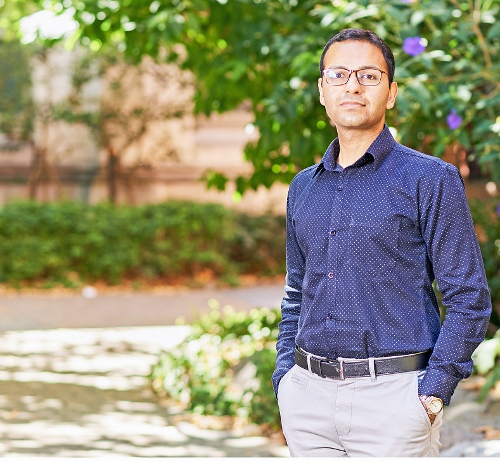 By highlighting my story- which is uniquely Australian – I want to send a constructive and strong message of equality, of equal representation and opportunity. I want to counter the divisiveness within and beyond the LGBTIQ+ community – which is based on man-made barriers of race, religion, ethnicity, gender, social privilege and economic status, and let people know that in contemporary Australian society and LGBTIQ+ community, there is no place for hate and prejudice – be it homophobia, racism, transphobia or unearned white privilege. I would like to say that I would like to be the next Mr Gay Pride Australia for everyday Australians- who want to see a change for the better – those who want to see better representation of our LGBTIQ+ community. That regular people, like them, are not given a platform. I want to tell them that they can. If I can become Mr Gay Pride Australia- as a gay man of colour, then they can too. There is hope for all of us and no one should be left behind. When I worked at the Star Observer as the sales director I worked really closely with the community to ensure we were covering all the important issues. One of my biggest achievements was setting up the IN IT TOGETHER forum to tackle suicide in our community, an issue close to my heart. The forum was made up of Beyond Blue, R U OK, Headspace, VAC and ACON, it was attended by 200 people in our community and got the conversion started. I also wrote about depression and body image in our community something I believe should be discussed more of. All of these topics above are the reasons why I wanted to put myself forward, I want to keep those conversations going, I want to help save lives and this platform can definitely do that. I would love to have the opportunity to make a difference. I would work hard to make sure everyone in our community gets a voice and that it gets heard. Coming from a small regional country town in north-west NSW growing up was hard. You had to hide who you were, shelter and protect yourself from comments that would hurt more than physical abuse. You had to “stay in the closet” and be fearful of who you are instead of being proud and fearless. I have faced a lot of challenges in my life with weight loss, with my identity and my passion lies within my profession as a social worker to be able to work along struggling youth to becoming more accepting of who they and to know that it is ok.
To provide them with advocacy around their own personal issues and to reassure them that they are part of a loving and nurturing LGBTI+ community. Through my experience of identifying as a proud gay male I have the opportunity to be involved in an inclusive sporting community – Waterpolo. Whilst living in Sydney I was part of Sydney Stingers. I want to be able to implement support factors for struggling youth with their identity and to enhance awareness in supportive and inclusive communities that are able to provide a sense of belonging for individuals and to show that being fearless and proud of who you are is ok.